The new offense is rated PG-13: Paul George looks as good as he ever has been right now. While he may not be buying in to the new system on the defensive end, he surely can’t complain about his role or his results on offense including 20 points in the first quarter to open a preseason game against Detroit. PG’s stroke has looked smooth and confident and the extra spacing has allowed for more room for drives to the rim. Paul George is back and more motivated than ever. Good news for Indy; bad news for the Eastern Conference. Larry Legend may have found a diamond in the rough in Glenn Robinson III: GR3 was the biggest surprise of the exhibition games. It was hard to expect too much from a guy who couldn’t get off the bench for two terrible teams in his rookie season, but Robinson was a beast with his high-flying dunks and has showed a much improved shooting stroke from long range. Add in his long, athletic defensive skill set and Vogel will be hard-pressed to keep him on the bench or on the Mad Ants for long (probably the original plan for him). He’s likely still behind Chase Budinger and perhaps Solomon Hill on the depth chart for now, but it looks as if Robinson will contribute this year and beyond for Indiana. The Rookies: Joe Young continued to show his scoring ability, and Myles Turner showed his stroke on offense and his rim protection on defense. The didn’t light up the world like during the Summer League, but these guys continue to look like keepers and will contribute right away on the Pacers second unit. 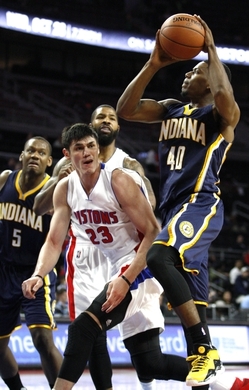 Ian Mahinmi: The Pacers starting center looks like a different player in the Pacers new system. Last season Ian was a negative on the offensive end and while I don’t expect him to continue to hit those mid-range shots in the real games, his finishing in the paint will be key for PG, Ellis, and George Hill on their drives. His ability to catch those passes in the paint has seen a big improvement from years past in which you couldn’t prove to me that Mahinmi actually had hands. Bonus: he’s also looked much more confident at the foul line. Defense: While it’s been great to see the Pacers score with ease by running and getting the offense started faster no matter the lineup, it’ll be interesting to see how much the defense drops off compared to the past couple of seasons. With the smaller lineups, will PG be reluctantly guarding 4s or will CJ Miles take the dirty job? Will they resort to only playing big against teams like Memphis? The defense may take awhile to resemble a Frank Vogel unit that prides itself on that side of the court. Solomon Hill: About the only disappointment of the preseason. Solo didn’t play for many of the games due to injury and after his horrific effort at Summer League, it would have been good to see him play well. Now, a player that started 78 games last year may be permanently on the bench behind Budinger and, eventually if not already, GR3. Enough shots for G Hill and Stuckey? : Two of the Pacers best offensive players last year will have less opportunities this year. Hill will be the 3rd or 4th option out of the starters on offense, so we may see much less of Aggressive George Hill. Stuckey should still be the leader of the second unit, but his struggles may come from playing with a rookie point guard that’s more of a scorer himself in Joe Young. Hopefully, it ends up being a good problem of having an abundance of people who can score, but the question will be how long it takes to find the right balance to keep everyone involved. My season predictions for the Pacers in a best case scenario is that they finish in the 5-8 seed range for the playoffs and make it out of the first round while being led by a superb offensive attack from PG and Monta Ellis. Worst case? The Pacers show promise and potential, but the team’s youth and inexperience playing together leads to a slow start that the Pacers can’t quite catch up from, and they just miss the playoffs. Enough speculation! 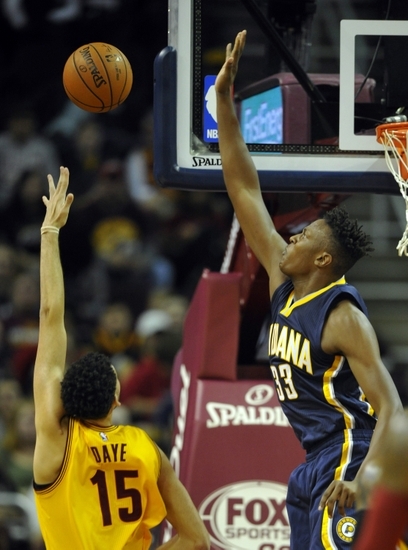 The regular season is converging on us, and the Pacers are healthy. Let the real games begin!